You are visiting the "Hancock" page. The link in the box to the right will take you to Col. Hancock's article. The links with asterisks in front will return you to either the parent or "Home" pages. David Hancock has been involved with dogs throughout his life. He judges working terriers and working tests for gundogs. He lectures at breed seminars. He writes each month for Dogs Monthly and occasionally for other national sporting magazines, i.e., Country Life, The Field, The Countryman's Weekly, Dogs in Canada, and Dogs Today. 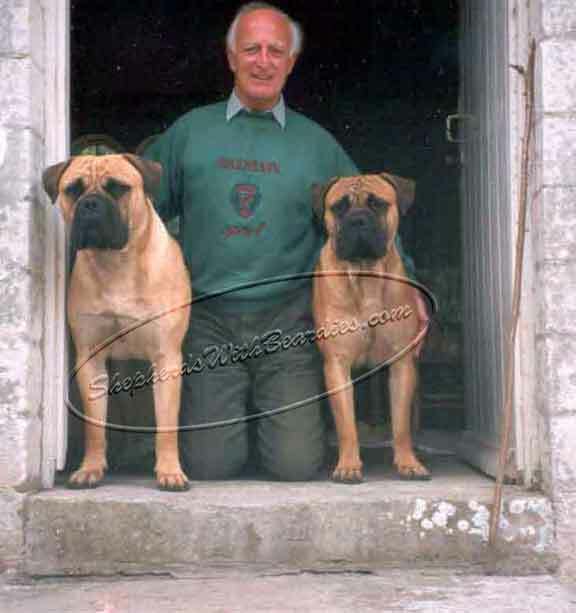 He has written a number of books on dogs: Dogs as Companions (1981);The Heritage of the Dog (1990), Old Working Dogs (1984); reprinted (1998), a-two volume production, The Bullmastiff-A Breeder's Guide (1996), Old Farm Dogs (1999); and The Mastiffs-The Big Game Hunters (2000). In his working life he was responsible for four different museums and worked in twenty-two different countries. He is now retired and lives in Oxfordshire. Scroll down to the bottom to read Col. Hancock's article. © 2011 Innovare Design. The majority of materials presented on this website are copyrighted by the original authors, etc. In addition, the appropriate forms have been filed with the United States Library of Congress in order to protect original authorship under 17 U.S.C. Sec. 102(a). Further, licensing fees have been paid for use of some images. Therefore, under the provisions of the U.S. Copyright Law, as well as the Berne Agreement, for those countries honoring the Berne Agreement, you are hereby notified not to use, or copy, any materials on this website without the prior written consent of the copyright holder. Questions or Concerns? Please contact copyright@shepherdswithbeardies.com or info@shepherdswithbeardies.com. These two email addresses are not presented as links. They must be retyped in the address line for your email. This was done to avoid unnecessary junk email being forwarded to the website. Thank you for your understanding.